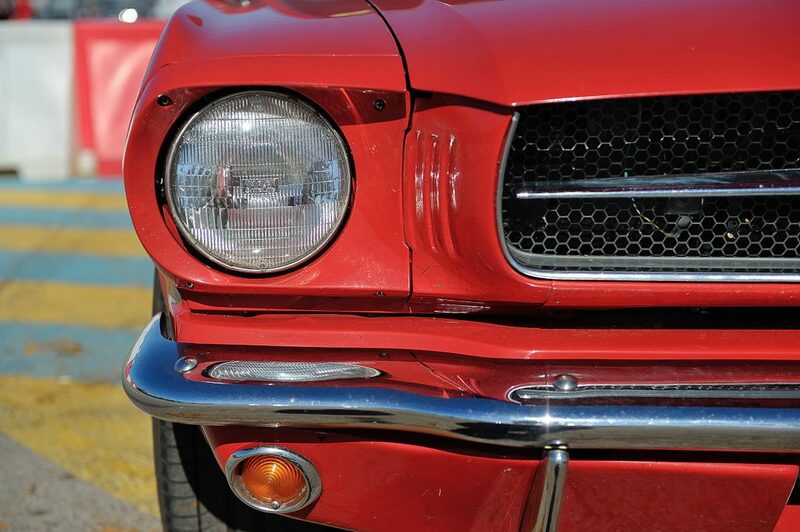 The Ford Mustang remains one of the most recognised and cherished cars in the world. It is a model that symbolises American muscle, with a distinctive roar that rules the road. In being the prized possession for a number of car collectors and automotive enthusiasts, it’s no doubt that the Ford Mustang continues to grow in popularity, even today. Read on to find out about the Mustang’s journey towards iconic status. Launched in 1964, the first Ford Mustang was advertised with the sale price of $2,368 USD. Using similar components to those found in the Ford Falcon and Fairlane models, the original Mustang had almost identical interiors, chassis and suspension set ups. The similarities with previous models enabled rapid assembly down the Mustang production line and allowed for dealers to effortlessly source spare parts. The first-generation Mustang is an incredible manufacturing triumph, as within the first 18 months of the Mustang’s conception, more than 1-million Mustangs rolled off the production line. In 1969, the Mustang was updated slightly, introducing a larger body and the vehicle’s front and back were restyled to make the car appear more assertive on the roads. The Mustang designers quickly changed their minds, and in 1970 they toned down the 1969 Mustang’s aggressive look. But sales records show that the 1969 model outsold the 1970 model Mustang. First conceptualised in 1973, a complete redesign of the Mustang was dubbed the ‘Mustang II’. The Mustang II – despite being heavier – was smaller and more fuel-efficient. The 1974 Ford Mustang was initially meant to be modelled on the Ford Maverick but ended up being more like the Ford Pinto. With its reduced sized, the Mustang II could compete against smaller sport coupés such as the Ford Capri and the Toyota Celica. With the second-generation Mustang, levels of precision handling and safety were increased, but engineering wise they were less powerful than previous models. Sales of third generation Mustangs were negatively influenced by high fuel prices in the early 80s. In 1983, Ford introduced the Mustang SVO which showcased a 2.3L, 4-cylinder engine that featured a unique blueprint. This model was to celebrate the Mustang’s 20th anniversary and the celebratory design included red paint, and white interiors. In an attempt to increase disappointing sales, the Mustang underwent a complete restructuring, which included the introduction of high-performance models. The 1993 redesign of the Mustang was headed by Patrick Schiavone who made the decision to incorporate styles derived from previous Mustang releases. During the fourth-generation release, Ford chose to retire the 302 CID pushrod small-block V8 and replace this with a Modular 4.6L (281 CID) SOHC V8. By 1999, the Mustang had developed a sharper look and included bigger wheel arches and extra creases within the body’s exterior. Released in 2005, the fifth generation of Mustangs were stylistically reminiscent of the fastback Mustang models that circulated during the late sixties. Between 2005 to 2010, base Mustangs were powered by a 210 HP block with a 4.0L SOHC V6, while the GT Mustangs were powered by a 4.6L SOHC V8 engine, which produced 300 HP. In 2012, a brand-new Mustang was introduced. The Mustang Boss 302 had a 444 HP engine and offered you the option of replacing your rear seat with a steel ‘x-brace’ for additional body bracing. The Mustang Boss was a powerhouse of precision control and delivered drivers the tools to truly dominate the road. The current generation of Mustangs was first showcased in December 2013. Alongside the introduction of new colour options, the new Mustang includes a wider body that is set closer to the ground and features a trapezoidal grille. A unique Independent Rear Suspension (IRS) system was a brand-new addition with the sixth generation Mustangs. The IRS system has been a key addition, as the implementation allows drivers to independently control the rear tyres, giving them better control, especially when driving on bumpy roads. The 2018 release of the Mustang first premiered at the end of 2017. The base version features a 2.3L 4-cylinder Ecoboost engine which produces 210 HP, while the Mustang version that everyone dreams of having includes a 5.0L V8 engine that produces an impressive 460HP.